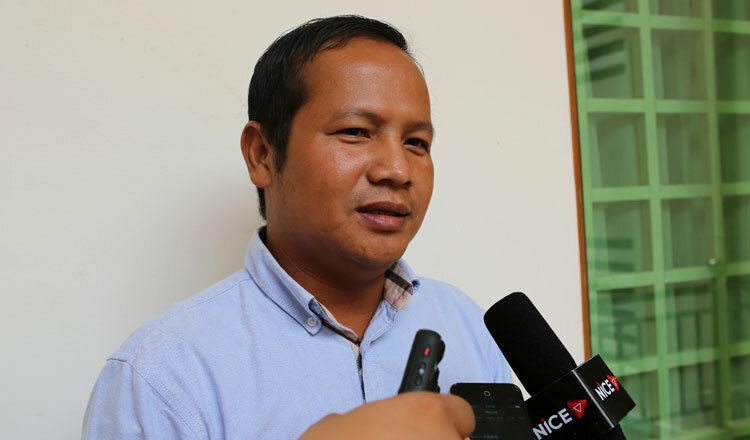 Phnom Penh Municipal Court yesterday began the trial of union leader Pav Sina, who is accused of being an accomplice in a labour protest in Por Senchey district seven years ago that reportedly damaged company properties. In 2012, Ocean garment factory workers, led by Mr Sina, president of the Collective Union of Movement of Workers, demanded answers from the company over alleged abuses of its employees. The court then proceeded to charge Mr Sina for being an accomplice to intentional damage. During the trial yesterday, Mr Sina said the company’s properties were not damaged during the protest. He added that he is currently embroiled in seven cases, but the court had already processed three of them. Judge Im Vannak declined to comment yesterday and referred questions to court spokesman Y Rin, who also declined to comment. Deputy court prosecutor Heng Pheng could not be reached for comment yesterday. A verdict is due on Thursday. In December, Prime Minister Hun Sen said all union leaders embroiled in lawsuits had to send their cases to the Labour Ministry, which would work with the Justice Ministry and the courts to end the cases. Shortly afterwards, Phnom Penh Municipal Court found Mr Sina and unionists Chea Mony, Mom Nhem, Ath Thorn, Yang Sophorn, and Rong Chhun guilty of instigating violence over their roles in violent protests dating back to 2013. However, Judge Im Vannak at the time changed the word “intent” to “instigate” and suspended their sentences after the verdict was announced. The case was mainly focused on 2013 protests that turned violent and led to authorities opening fire on protesters in early 2014 as demonstrations continued for higher minimum wages for garment workers and in protest against the 2013 election results.